Fort is a boutique gym based in Tropicana, Damansara founded by Brian Foo, Jeremiah Tan, and Wayne Yap in January 2018. They specialise in group exercise classes, with customers able to join in via a pay-as-you-go model. Their classes are designed in-house by their team of instructors, with the focus on making each session quick, fun, and effective. Realising a need among urban Klang Valley dwellers for a fun fitness option that fits within the constraints of modern living, Damansara-based boutique gym Fort offers up group fitness classes that are both quick and effective, with “accessibility” the keyword they use to describe their programmes. Fort was conceptualised in the third quarter of 2017 became officially in January this year. 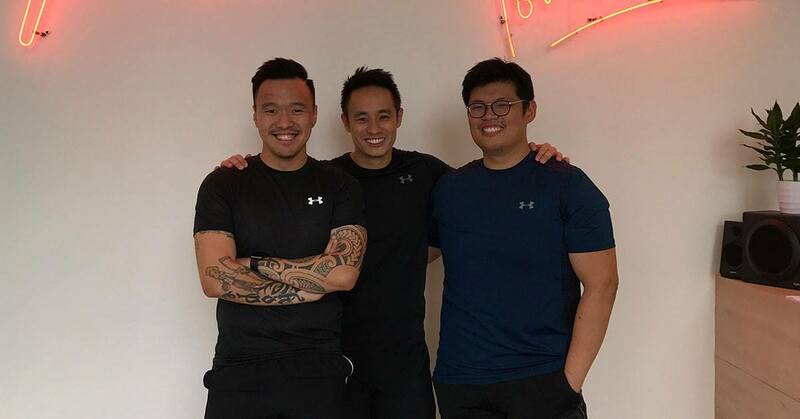 “The main idea behind opening a boutique gym was simply to make great group exercise classes more easily accessible to more people,” said Brian Foo, who co-founded Fort alongside his buddies Jeremiah Tan and Wayne Yap. According to Brian, Fort was founded upon a belief that exercise should be done in groups, a belief that was borne out of the three founders’ personal fitness journeys. “All three of us have personal experiences when it comes to fitness and we believe it is a huge driving force behind the business,” Brian said. Currently, Fort offers patrons access to their group classes via a pay-as-you-go model: users buy a package with a predetermined number of classes (passes start at RM55), and only use the passes as and when they attend a session. Classes at Fort are designed in-house by their certified instructors (who together have more than 50 years of fitness industry combined), with four main modules available to cater to different needs ranging from strength conditioning, to mobility training and yoga. For example, Forge focuses on strengthening individual muscle groups, while Flash focuses on improving speed and agility. According to Brian, these classes are designed to be effective and efficient while also creating an enjoyable experience for attendees. “Our unique trait is that we have a great community and freaking amazing workout programmes,” Brian said confidently. Looking at Fort’s overall offerings, it’s quite obvious to see that Fort is trying for the feel of a ‘neighbourhood gym’, with their centre even hosting a dedicated chiropractor as well as the availability of private classes for birthdays and corporate events. All in all, Brian thinks that the whole idea is to let people workout within an environment that is supportive and personal, a stark contrast to the traditional gym models of old. In terms of sustainability, Brian thinks that Fort are on the right track as far as their subscription-free business model goes. “People simply do not believe in the monthly commitment model anymore, this business model works as long as we can constantly keep our small member base refreshing their packages when they run out of credits,” he said, also pointing out the number of other smaller gyms appearing around urban locales. On the flipside, Brian does admit that there exists some challenges related to running a group-focused fitness centre, with one of the major ones being the problem of steep drops in attendance during holidays. Right now, Fort are hard at work building their still new business, with plans for expansions and ideas for scaling and growing being thrown about. But despite all the plans, Brian thinks that nothing should come at the expense of quality and also feels that a good product is always the best way to grow the business. To know more about Fort, check out their website or Facebook page.